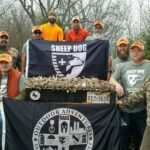 This spring has been a busy one for Sheep Dog Impact Assistance (SDIA), hosting four different Outdoor Adventures in three states, all within three months. 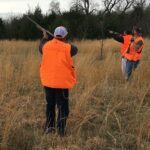 This week’s story will feature our annual Hog Hunt and Quail Hunt; watch next week for a story on our first Fishing Trip and our St. Louis Chapter’s Muddy Adventure. Our Outdoor Adventure program came to be as we waited for disasters to which our disaster response teams could deploy and satisfy their innate desire to serve and help those around them. We needed a continued service opportunity that would keep our Sheep Dogs engaged, physically challenged and foster camaraderie. An obstacle course race fit the bill. 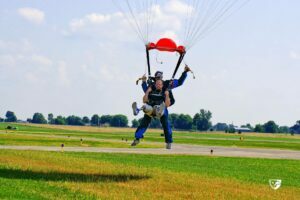 SDIA has since expanded the adventures to include other outdoor activities like hunting & fishing trips, skydiving, scuba diving and more. 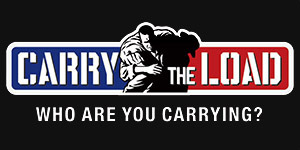 For our sponsored Sheep Dogs (those injured in combat or the line of duty), these adventures present them with challenges that test their rehabilitation progress, restore independence and self-confidence, and foster camaraderie and peer support – two things that are vital to inspiring a positive state of mind and perspective. 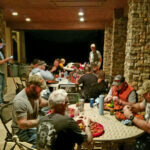 SDIA’s annual Spring Hog Hunt was held the first weekend of March at Turkey Creek in West Texas. 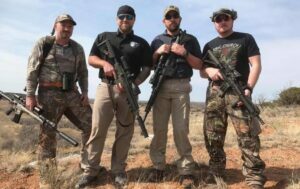 Sponsored by Broadway Contracting and ProTrucks (both in Siloam Springs, AR), the hunt was just what Texas State Trooper Danny Shaw needed, though he didn’t realize it until he returned home. Since being injured in the line of duty in November 2016, Danny and his wife, Melissa, have been working through the frustrations and life changes that come with being partially paralyzed. Getting away for the weekend and experiencing the camaraderie of those who understood what he had been through helped immensely. 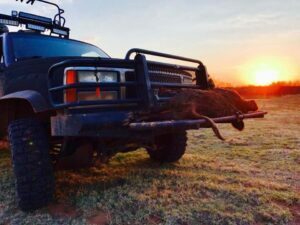 For more photos from the Hog Hunt, visit our Facebook Album. Army veteran Leland Arledge feels the same way about his SDIA hunting experiences. He participated in the annual Quail Hunt March 9-12 at Bethel Ranch in north Texas. Arledge served 8 years in the Army as a Cavalry Scout and was injured in September 2011 when the Stryker fighting vehicle he was in hit an Improvised Explosive Device (IED). His injuries were extensive; after being rescued from the burning vehicle, he lost his right leg, had 2nd and 3rd-degree burns, suffered a cranial fracture, damage to his right eye, and shrapnel wounds. 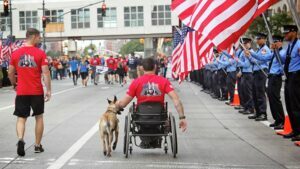 For Sheep Dogs injured in combat or the line of duty, finding the camaraderie and peer support they once had is vital to inspiring a positive state of mind and perspective. To meet and spend time with other Sheep Dogs has a profound effect that helps these brave men and women get off the couch and reengaged in living life. The all-expenses paid weekend was sponsored by Bethel Ranch. 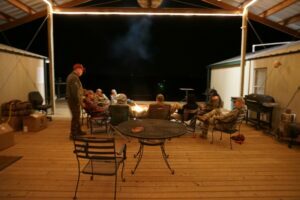 More photos from the Quail Hunt can be found in our Facebook Album. If you know of a Sheep Dog injured in combat or the line of duty that could benefit from the healing and camaraderie of our Outdoor Adventures, please contact SWest@SheepDogIA.org.